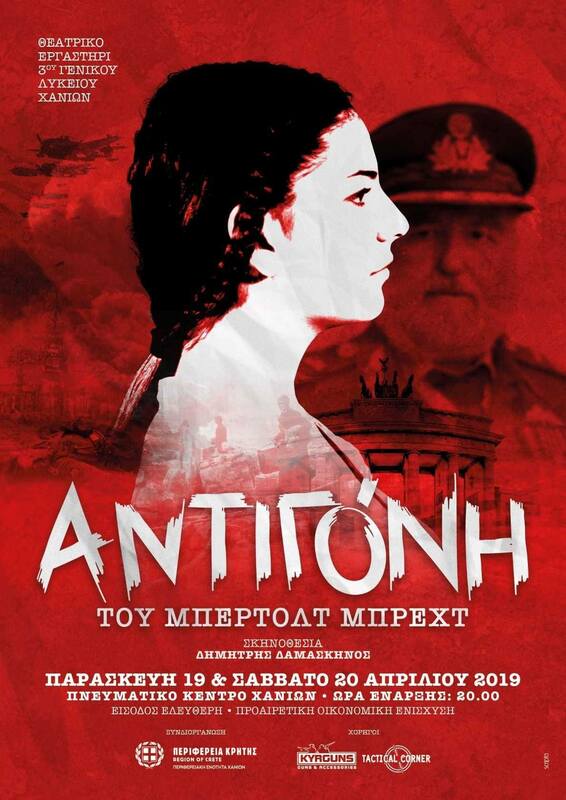 The Senior High School of Chania invites you on Friday and Saturday, 19th and 20th April at the Cultural Center of Chania to the performance of the tragedy of Bertolt Brecht “Antigone” directed by Dimitris Damaskinos. Starting time of each performance is 20.00. Entrance is free , with optional financial support to cover the costs of the performances. Antigone is a Greek tragedy written around 451 BC by Sophocles . The German playwright Bertolt Brecht adapted it and renamed it The Antigone of Sophocles. Brecht’s The Antigone of Sophocles was performed in 1948 in Switzerland. Brecht’s Antigone is close to the original plot, some of the main differences include the political and economic contexts, and the character Creon.